#BidForTheKids, the mantra echoing the interwebs as we approach the final hours of the 2019 Cancer Gets LOST charity auction that was featured during Conageddon2 in Boston this past St. Paddy’s Day weekend. 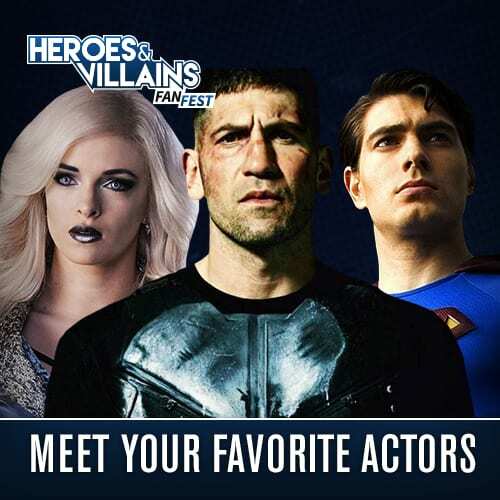 Fan Fest attended the intimate event, which was revealed in its second year to be the brainchild of The 100 cast members Eliza Taylor, Bob Morley, and Zach McGowan (RIP King Roan). Fan Fest sat in on panels, took dozens of selfies, met so many amazing people, and of course watched all of the passionate fans come together with one common goal: supporting the show (and kicking cancers tukus). If you’re unfamiliar with CGL, the non-profit channels fandom for the greater good and after exclusively partnering with Conageddon for its 2019 online auction, it was only fitting that this one would feature The 100 items, the majority kindly signed by the cast. Every cent raised will be donated to the children’s cancer charity CURE Childhood Cancer in memory of Isla, a young family friend of Eliza’s that recently lost her battle to cancer. 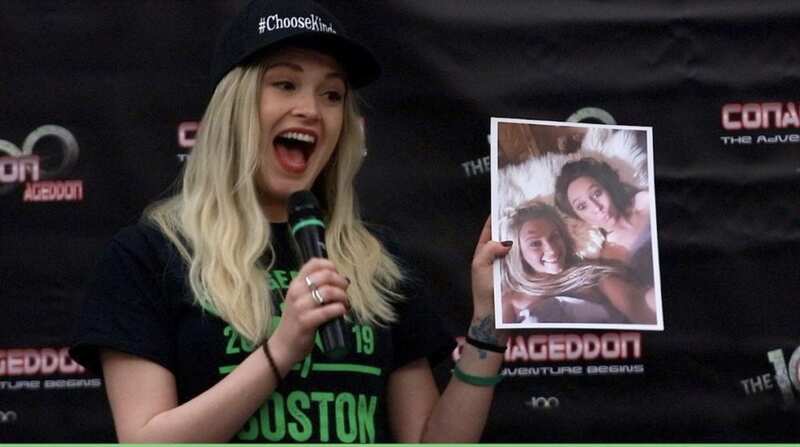 In an unexpected turn of events, CGL’s co-founder Jo Garfein, and The 100’s leading lady spontaneously decided on the last day of the convention to auction off, LIVE!, selfies of her and former co-star Alycia Debnam-Carey from set that fans had been longingly waiting for since mention of their existence quite some time ago. 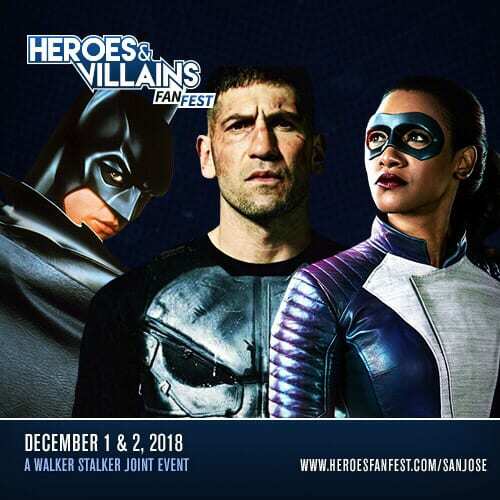 Since it was Eliza’s con, Garfein tells Fan Fest that “it seemed like an organic solution and situation.” Not only would this put to bed (pun intended) the growing desire within the fandom to see the selfies, but as a result of auctioning them off their proceeds would help honor Isla’s memory. The live selfie auction raised $6800! The silent auction of 2 Pop sets raised $660, talk about fandom coming together for the greater good! Jo was kind enough to chat with Fan Fest during Conageddon about her latest auction, and its impact in the world. She also exclusively shared with us what her upcoming auction will feature… (must read on to find out!) which is super freakin’ exciting! In addition to the live, and silent auction amassing over $7400, what’s running through your mind as you approach the $5,000 mark for the online auction? Genuine gratitude! There is no way to ever really know how a charity auction might do, so I try to manage expectations with regard to fundraising goals. I spend a lot of time “reading the room,” which is to say that I pay close attention to how fandoms are responding to their shows and casts online at any given time. And of course CGL always takes into consideration the fact that many fans aren’t able to afford auction items at higher prices, so we feature very low starting bids and include lower priced items like unsigned art and clothing. Our goal is to channel all fans toward the greater good, and we hope that the vast landscape of kind fan communities out there feel that our charity auctions are open and appealing to all of them! Each Cancer Gets Lost auction has a different charity that you are raising money for, how do you go about choosing the charity– this auction will be donated to CURE Childhood Cancer, can you speak about the journey to that decision? There are hundreds of amazing cancer charities out there. CGL selects a different cancer charity to receive our proceeds from each auction, to spread the love and funding across many types of essential organizations that focus on cancer research and family support. 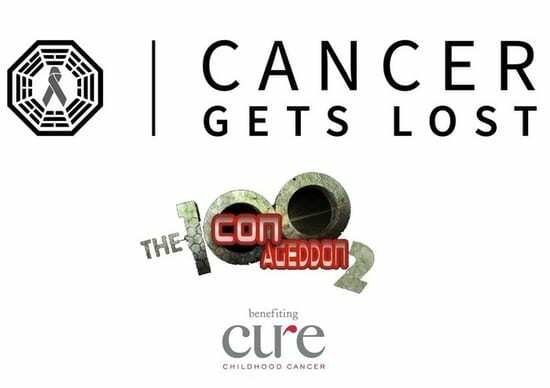 Alas, there is always a personal connection for us, which is why we chose CURE Childhood Cancer to receive 100% of the proceeds from our CGL Conageddon 2 Online Charity Auction. We’ve worked closely with our dear friend Eliza Taylor on CGL auctions for many years, and share a tremendous connection with regard to the social responsibility of our charitable endeavors. A few years ago I hosted a small online charity auction with Eliza to help fundraise for medical expenses her young family friend Isla in Thailand. 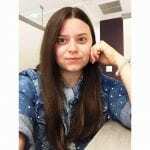 Sweet Isla recently lost her battle with cancer, and CGL was inspired to both donate our Conageddon 2 auction proceeds to a children’s cancer organization and dedicate the auction in her memory. Why do you think it’s been so easy for The 100 cast to rally around this charity initiative? As most The 100 fans are aware, many of the cast are involved with their own charitable causes. This cast, as well as the crew and creative team, collectively believe in giving back. And like everyone else in the world – many in their lives have been touched by cancer. Getting to know all of them over the last several years has been a great pleasure. There is a trust and comfort level between all of us, and The 100 cast are the first to step forward and volunteer to sign items when auctions are announced. My appreciation for these lovely human beings is endless. What do you attribute to the success of CGL? How important is something like this to those (or yourself) affected by incurable illness. I honestly believe that the success of CGL is entirely thanks to the collective kindness of both the fans and the casts/crews of the shows and films they admire. Because cancer has affected the lives of almost everyone, it is a common cause to rally behind. I’ve watched too many friends and beloved family members lose their lives to cancer, so it is of the utmost importance to me that cancer charities benefit from a grassroots fundraising effort like ours. Many cancer non-profits are quite underfunded, and every single fan I’ve ever met or interacted with online shares CGL’s desire to keep cancer research at the forefront as technology advances. How long have you been preparing for this particular auction? Walk me through your process in regards to getting to that final product we all saw as the auction went live. CGL auctions take about one hour of time per item to build, from start to finish: communication about and item acquisition, shipping and/or receiving item to get signed, item authentication and photography, auction construction, PR & marketing on social media channels, payment confirmation and verification, packaging and final shipments. I estimate that the CGL Conageddon 2 Charity Auction took about 55 hours to create and launch. But it is an extremely satisfying experience, because of the end result: we are able to donate a great deal of money to a cancer charity that makes an actual difference in the lives of young children facing this terrible disease. The fact is that I run CGL in my spare time, above and beyond my regular day job. So CGL comes to life during lunch breaks, after work every night and on weekends. And I’d never complain about that! Cancer Gets Lost is a labor of love, and it has illuminated a path I believe I was destined to follow for as long as I am able. At this point, being a reputable and well-known non-profit, do people seek you out to donate items? What’s the coolest item you have ever received? On average, CGL receives 1-2 emails or direct messages per week from people offering to donate items for future charity auctions! It is a blessing, given the lack of time to pursue items ourselves. Most are from fans across a wide variety of shows and films, but many are also from actors, writers and producers. The DNA of CGL is word-of-mouth social media love and goodwill amongst industry friends that have recommended us to their castmates, writers room, etc. The coolest item we’ve ever received was actually a personal acquisition of mine. 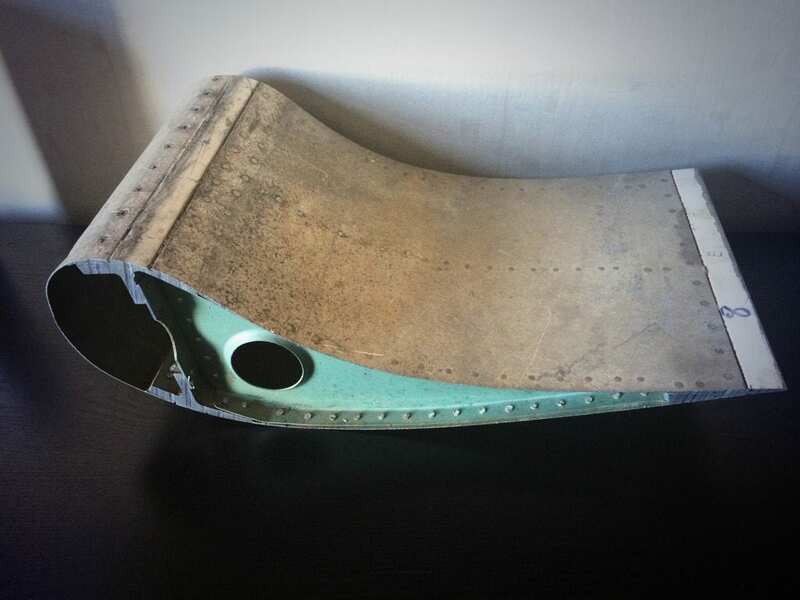 Five years ago I purchased a huge piece of the Oceanic Flight 815 airplane wing from LOST, had it cut into smaller pieces and CGL auctioned them off individually. I believe we raised over $5,000 in total, for our designated cancer charity at the time. But did I keep a small piece of the infamous airplane for my office? Of course I did! I will never take for granted how LOST changed my life, and that piece is a visual reminder to be grateful for CGL every single day. CGL likes to say that “the only thing we ship is packages”– can you explain the importance of this statement in the fandom. It is common knowledge that certain fandoms engage in “shipping wars” about their favorite fictional characters online. We respect those that interact constructively, but we certainly try to avoid any negativity when it comes to what we feature in our charity auctions. Thus, the only things we DO ship are charity auction packages! Especially online, we see so much negativity surrounding The 100 fandom, but yet those with differing opinions and backgrounds have come together to raise money for a worthy cause. How has this experience changed your view on fandom or people in general? While a few subsets of The 100 fandom online tend to only offer negative feedback and commentary, 99% of this fandom has been unbelievably supportive of our charitable endeavors (as well as many others)! At times, I feel as though this entire fandom has been unfairly lumped together and dismissed as toxic. But CGL has found the opposite to be true! In every charity auction we have hosted since 2016, many of the top selling items are The 100 related. In my experience, the most generous fans (in heart and spirit) in any online community tend to be the quieter ones. Their voices and polite contributions do not receive the same level of attention as the small number of louder, disrespectful voices breaking through the noise on Twitter. But I am inspired and encouraged by fans that always choose kindness! Which items did you expect would be a huge hit in helping to raise money to CURE Childhood Cancer? It is no secret that sweet Alycia Debnam-Carey is a magical unicorn, in the sense that she attends very few Cons and and only signs FTWD items at Comic-Con events hosted by her current network (AMC). 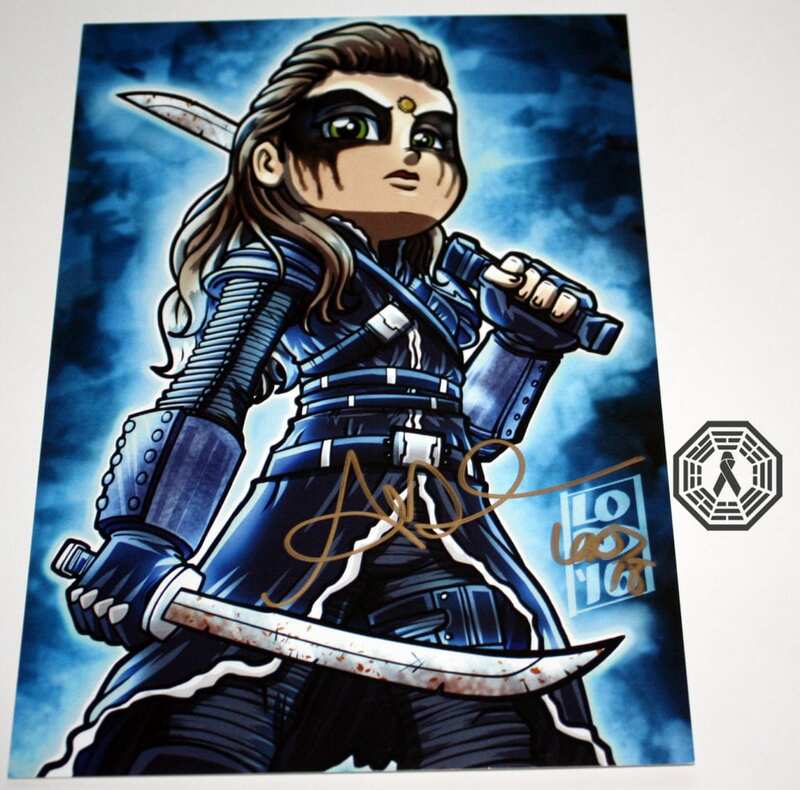 Thus, because she has signed so few items out there, any Lexa art that CGL has been fortunate enough to get signed by ADC winds up being THE top selling item in our charity auctions! In our current Conageddon 2 auction, as suspected, the top 2 highest bids as of now are for 2 pieces of fan art that Alycia has kindly signed for us! 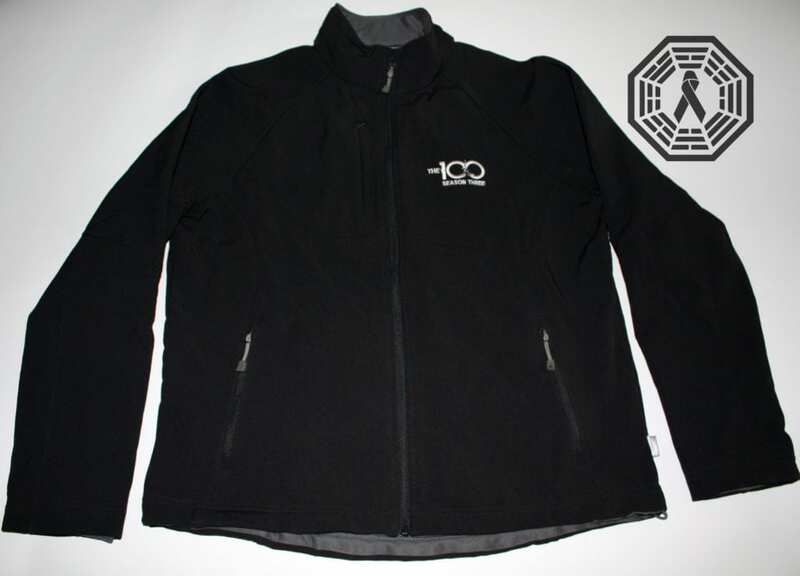 That being said, the exclusive The 100 Season 3 cast/crew jacket is also a hot ticket item in this auction as well! What did you look forward to most about Conageddon weekend? Whiskey and naps? Ha, neither! My favorite aspect of fan conventions is the opportunity to reunite and catch up with great friends from the fandom, and Conageddon offers a uniquely chill experience in which to do so. And honestly, I just love being able to update the cast in person about the auction items they contributed to for Cancer Gets Lost; their faces light up when they see how impactful something as seemingly small as an autograph can be. 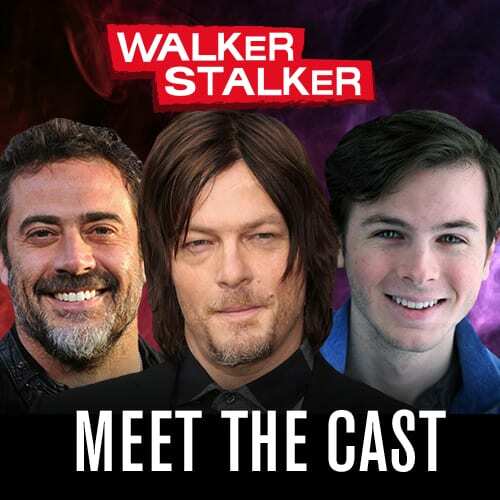 This cast in particular is very aware of how their individual characters have affected fans from around the world, and watching them interact with the fans at this Con is something special to witness in person. I can exclusively reveal that CGL will be hosting a small online charity auction, in the summer or fall of 2019, featuring all custom doodles from various TV writers rooms! It is the brainchild of my very good friend Javier Grillo-Marxuach, formerly of LOST and The 100, and now Co-Executive Producer of The Dark Crystal: Age of Resistance (coming soon on Netflix). We’ve featured Javi’s terrific writers room sketches in previous CGL charity auctions, and they always raised a nice amount of money for the cause. And now Javi is in the process of collecting a fun variety of doodles from writers rooms across many genres and networks! Once details and dates have been finalized, we will share them with our followers! I would just like to take this opportunity to thank you for choosing to do a story about Cancer Gets Lost, and highlight our current online charity auction! In addition, we are very grateful for all fans that are participating in the auction, as you are making an important difference in the lives of young children who are facing unimaginable challenges with cancer. #BidForTheKids! For more information about Cancer Gets LOST, visit their website.